Congratulations to our Blind Date With a Book Winners! Debra Jeakins, Margie Shaffer, Rosemary Martin, and Duree Leaman each won a “date night” movie package. 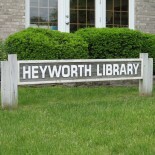 This entry was posted on March 22, 2018 by Heyworth Public Library District.